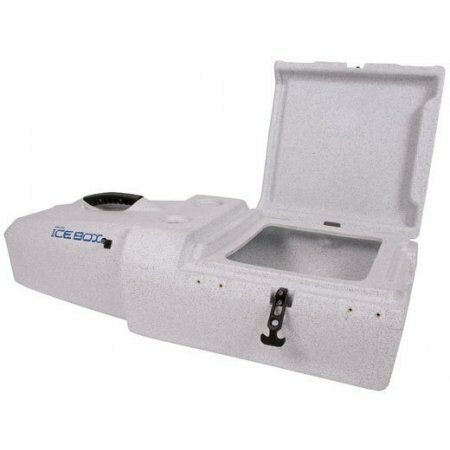 Ocean Kayak Trident Kayak Ultra Ice Box Storage Pod by Ocean Kayak at Breezin Thru Charters. MPN: 719860000. Hurry! Limited time offer. Offer valid only while supplies last. Foam insulated fish storage pod designed to fit the rear tank well of the Ocean Kayak Trident Ultra 4.7 and Ocean Kayak Trident Ultra 4.3 kayaks. Foam insulated fish storage pod designed to fit the rear tank well of the Ocean Kayak Trident Ultra 4.7 and Ocean Kayak Trident Ultra 4.3 kayaks. Easily removable. Reversible hinge system. If you have any questions about this product by Ocean Kayak, contact us by completing and submitting the form below. If you are looking for a specif part number, please include it with your message.